The compilation of our projects is not complete and under construction. Publications Kloskowski et al. (2015). Optimal habitat conditions for the globally threatened Aquatic Warbler Acrocephalus paludicola in eastern Poland and their implications for fen management. Ibis 157: 406-412. DOI: 10.1111/ibi.12247. Tanneberger F et al. (2014). Rapid changes in vegetation structure of Aquatic Warbler habitats in Pomerania - outcomes of targeted five year habitat management. Plant Diversity and Evolution 130: 303–313. DOI: 10.1127/1869-6155/2013/0130-0079. Tanneberger F et al. (2010). Habitat selection of the globally threatened Aquatic Warbler at the western margin of the breeding range and implications for management. Ibis 152: 347–358. DOI: 10.1111/j.1474-919X.2010.01016.x. Wichtmann W et al. (2010). Paludiculture is paludifuture: Climate, biodiversity and economic benefits from agriculture and forestry on rewetted peatland. Peatlands International 1/2010: 48–51. Link. Wichtmann W & Wichmann S (2010). Paludikultur – Alternativen für Moorstandorte durch nasse Bewirtschaftung. Energetische Verwertung von Niedermoorbiomasse. Acker+plus 5/2010: 86–89. Wichtmann W et al. (2010). Paludikultur – Nutzung nasser Moore: Perspektiven der energetischen Verwertung von Niedermoorbiomasse. Naturschutz und Landschaftspflege in Brandenburg 19 (3, 4): 211–218. Wichmann S & Wichtmann W (2009). Bericht zum Forschungs- und Entwicklungsprojekt Energiebiomasse aus Niedermooren (ENIM). Institut für Botanik und Landschaftsökologie, Universität Greifswald. 190 S. Link. Wichtmann W & Wichmann S (2009). Energetische Nutzung von Niedermoorbiomasse. In: Bioenergie – Chance und Herausforderung für die regeionale und globale Wirtschaft. Tagungsband zum 3.Rostocker Bioenergieforum. Institut für Umweltingenieurwesen, Band 23: 87–99. Wichtmann W et al. (2009). Standortgerechte Landnutzung auf wiedervernässten Niedermooren – Klimaschutz durch Schilfanbau. Ökologisches Wirtschaften 1: 25–27. Barz M (2008). Biomass Technology for Electricity Generation in Community, IIRE International Journal of Renewable Energy Vol. 3 No. 1. Wichtmann W & Joosten H (2007). 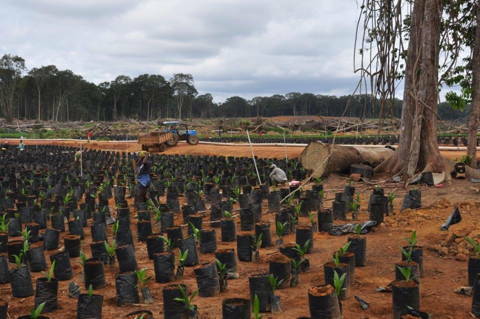 Paludiculture: peat formation and renewable resources from rewetted peatlands. IMCG-Newsletter 2007/3: 24–28. Wichtmann W & Schäfer A (2007). Alternative management options for degraded fens – utilisation of biomass from rewetted peatlands. In: Okruszko T et al. (2007). Wetlands: Monitoring, Modeling and Management. Taylor & Francis/Balkema: Leiden, The Netherlands. pp. 273–279. Schäfer A & Wichtmann W (2007). 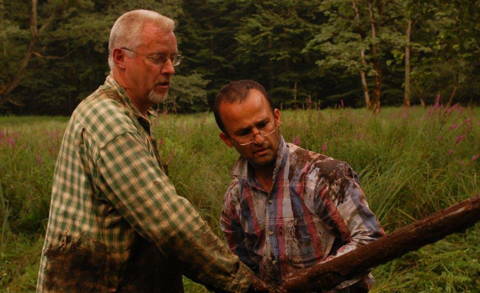 Restoring Drained Peatlands for Sustainable Use in Germany. In: Clewell A, Aronson J. Ecological Restoration. Principles, Values, and Structure of an Emerging Profession. Island Press. pp. 125–129. Schäfer A & Wichtmann W (2007). 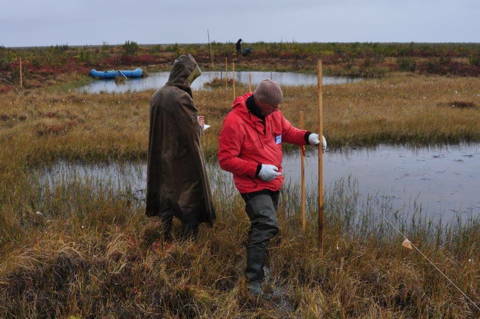 Restoring Drained Peatlands for Sustainable Use in Germany. Virtual filed trip 6. In: Clewell AF & Aronson J: Ecological Restoration. Pronciples, Values, and structure of an emerging profession. Island Press, Washington. pp 125 - 129. Barthelmes A et al. (2006). Palaeoecological analysis of Alnus wood peats with special attention to non-pollen palynomorphs. Review of Palaeobotany and Palynology 141 (1–2): 33–51. DOI: 10.1016/j.revpalbo.2006.04.002. Dannowski R & Dietrich O (2006). Schwarzerlenbestockung in wiedervernässten Flusstalmooren Mecklenburg-Vorpommerns: Wasserverbrauch und gebietshydrologische Wirkungen. Telma. Prager A et al. (2006). Non-pollen palynomorphs from modern Alder carrs and their potential for interpreting microfossil data from peat. Review of Palaeobotany and Palynology 141 (1–2): 7–31.DOI: 10.1016/j.revpalbo.2006.03.015. Wichtmann W & Schäfer A (2006). Alternative management options for degraded fens – utilisation of biomass from rewetted peatlands. In: Wethydro Proceedings. A.A. Balkema Publishers, Rotterdam. Schäfer A (2005). Umweltverträgliche Erlenwirtschaft auf wieder vernässten Niedermoorstandorten. Beiträge für Forstwirtschaft und Landschaftsökologie 39 (4): 165–171. Schäfer A (2005)- ALNUS – Renaturierung von Niedermooren durch Schwarzerlenbestockung. In: Weigel H-J & Dämmgen J (Hrsg). Biologische Senken für atmosphärischen Kohlenstoff in Deutschland. Sonderheft 280. Bundesforschungsanstalt für Landwirtschaft (FAL), Braunschweig, S. 113-119. Schäfer A & Joosten H (Hrsg.) (2005). Erlenaufforstung auf wieder vernässten Niedermooren - ALNUS-Leitfaden. DUENE e.V., Greifswald, 68 S.
Publications Joosten H et al. (2006). De natuurlijke context van de vindplaats. In: Pouls JH & Crompvoets HJG (eds. ): De Gouden Helm uit de Peel. Feiten en visies. Medelo, Meijel, 52 – 69, 141 - 142. Publications Verhagen A et al. (2009). Peatlands and carbon flows. Outlook and importance for the Netherlands. Report WAB 500102 027, Netherlands Environmental Assessment Agency PBL, Bilthoven, 50p. Link. Tegetmeyer C et al. (2014). Modelling habitat suitability in the Aquatic Warbler wintering ground Djoudj National Park in Senegal. The Ostrich 85(1): 57–66. DOI: 10.2989/00306525.2014.892540. Poluda A et al. (2012). First confirmed connectivity between breeding sites and wintering areas of the globally threatened Aquatic Warbler Acrocephalus paludicola. Ringing & Migration 27(1): 57–59. DOI: 10.1080/03078698.2012.691250. Tegetmeyer C et al. (2012). Moult and mobility of the Aquatic Warbler Acrocephalus paludicola on the West African non-breeding grounds. Journal of Ornithology 153(4): 1045–1051. DOI: 10.1007/s10336-012-0833-3. Arbeiter S & Tegetmeyer C (2011). Home range and habitat use by the Aquatic Warblers Acrocephalus paludicola on their wintering grounds in Northwestern Senegal. Acta Ornithologica 46: 117–126. DOI: 10.3161/000164511X625883. Oppel S et al. (2011). High variation reduces the value of feather stable isotope ratios in identifying new wintering areas for aquatic warblers Acrocephalus paludicola in West Africa. Journal of Avian Biology 42(4): 342–354. DOI: 10.1111/j.1600-048X.2011.05252.x. Buchanan GM et al. (2011). Identifying the potential wintering sites of the globally threatened Aquatic Warbler Acrocephalus paludicola using remote sensing. The Ostrich 82(2): 81–85. DOI: 10.2989/00306525.2011.603461. Flade M et al. (2011). Distribution, ecology and threat status of the Aquatic Warblers (Acrocephalus paludicola) wintering in West Africa. Journal of Ornithology 152 (Supplement 1): 129–140. DOI: 10.1007/s10336-011-0666-5. Publications Joosten H & Leidekker J (2007). Haaksbergerveen. Externe audit. Staatsbosbeheer, Driebergen, 36 p.
Publications Grootjans AP et al. (2015). Bargerveen Externe audit 2014. Staatsbosbeheer, 58 p.
Publications Schaller C (2014). Naturraumkundliche Untersuchungen in Kubanischen Küstenmooren. Diploma Thesis, Greifswald, Ernst-Moritz-Arndt-Universität Greifswald. Publications Szallies I (2016). Feasibility of nominating the Flow Country (Scotland) as a World Natural Heritage Site. Master Thesis, Greifswald, Ernst-Moritz-Arndt-Universität Greifswald. Publications Parish F et al. (eds) (2008). 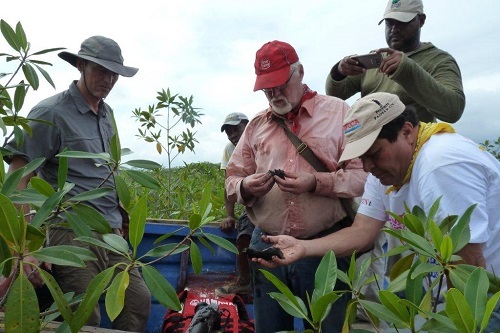 Assessment on peatlands, biodiversity and climate change. Global Environment Centre, Kuala Lumpur and Wetlands International Wageningen, 179 p.
CKPP Consortium (2008). 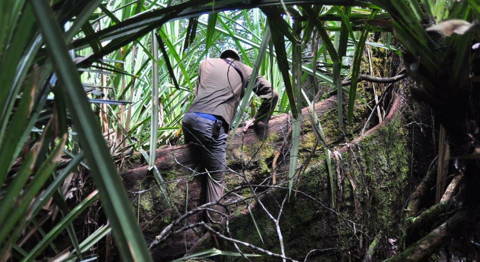 Provisional Report of the Central Kalimantan Peatland Project. Palangka Raya. Link. Dommain R et al. (2014). Carbon storage and release in Indonesian peatlands since the last deglaciation. Quaternary Science Reviews 97: 1-32. DOI: 10.1016/j.quascirev.2014.05.002. Dommain R et al. (2011). Development and carbon sequestration of tropical peat domes in south-east Asia: links to postglacial sea-level changes and Holocene climate variability. Quaternary Science Reviews 30: 999-1010. DOI: 10.1016/j.quascirev.2011.01.018. Dommain R et al. (2010). 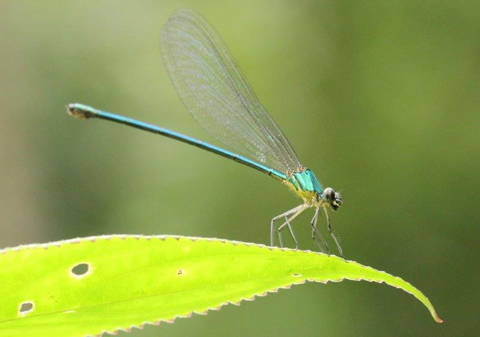 Hydrological self-regulation of domed peatlands in south-east Asia and consequences for conservation and restoration. Mires and Peat, Volume 6, Article 05, 1–17. Link. Couwenberg J et al. (2010). Greenhouse gas fluxes from tropical peatlands in south-east Asia. Global Change Biology 16: 1715- 1732. DOI: 10.1111/j.1365-2486.2009.02016.x. Publication Dommain R et al. (2015). Forest dynamics and tip-up pools drive pulses of high carbon accumulation rates in a tropical peat dome in Borneo (Southeast Asia). Journal of Geophysical Research: Biogeoscience 120. DOI: 10.1002/2014JG002796. Kaffke A (2008). Vegetation and site conditions of a Sphagnum percolation bog in the Kolkheti Lowlands (Georgia, Transcaucasia). Phytocoenologia, 38, 161–176. DOI: 10.1127/0340-269X/2008/0038-0161. Kaffke A et al. (2002). Early 20th century Russian peat scientists as possible vectors for the establishment of Calluna vulgaris (Linnaeus) Hull in Georgian Sphagnum bogs. Suo 53: 61 – 66. Kaffke A et al. (2000). Ispani II: the world’s first percolation bog. In: Québec 2000 Millenium Wetland Event, Program with Abstracts, p. 487.
de Klerk P et al. (2009). Vegetation history and environmental development since ca 6000 cal yr BP in and around Ispani 2 (Kolkheti lowlands, Georgia). Quaternary Science Reviews 28: 890-910. DOI: 10.1016/j.quascirev.2008.12.005. Krebs M & Joosten H (2006). The Golden Fleece in trouble – the endangering of the Kolkheti peatlands (Georgia). International Mire Conservation Group Newsletter 2006/1: 6-9. Link. Joosten H et al. (2003). The mires of the Kolkheti lowlands (Georgia). IMCG Newsletter 2003/3: 19 – 23. Link. Machutadze I & Joosten H (2003). Kolkheti mires. Tchaobi, Makhindjauri (Georgia). 40 p.
Krebs M et al. (2016). Record growth of Sphagnum papillosum in Georgia (Transcaucasus): rain frequency, temperature and microhabitat as key drivers in natural bogs. Mires and Peat 18: Article 04, 1–16. DOI: 10.19189/MaP.2015.OMB.190. Krebs M et al. (2009). A future for Ispani 2 (Kolkheti, Georgia) and adjacent lands. 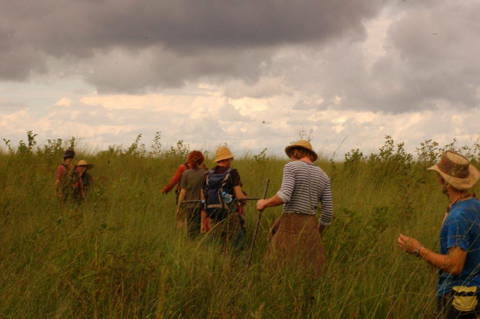 International Mire Conservation Group Newsletter 2009/2: 3-14. Link. Krebs M et al. (2009). The mires of the Kolkheti Lowlands. In: Gegechkori, A., Joosten, H. (eds.). The biomes of the Caucasus. Draft for the IMCG Field Symposium Georgia/Armenia Sept. 2009. Krebs M & Matchutadze I (2008). 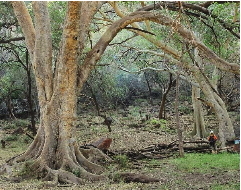 Kolkheti wetlands in 2008. International Mire Conservation Group Newsletter. 2008/1: 6-7. Link. Krebs M (2008). 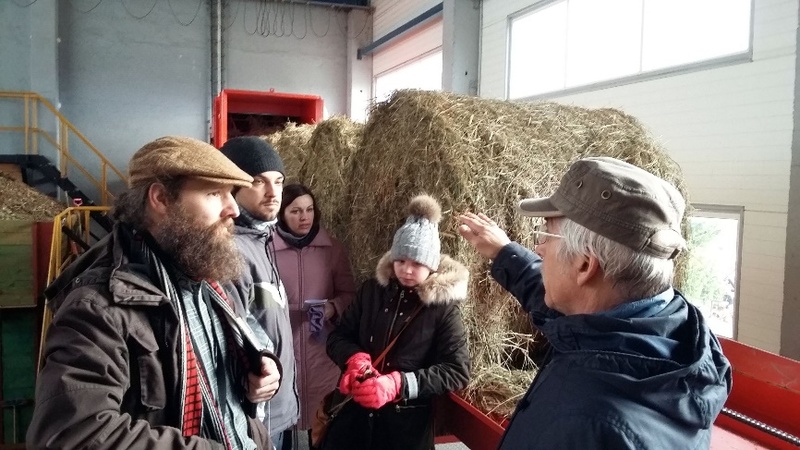 Perspectives of Sphagnum farming in the Kolkheti lowland (Georgia): first results. Proceedings of the 14 th International Peat Congress. Tullamore. pp. 172-174. Krebs M & Gaudig G (2005).Torfmoos (Sphagnum) als nachswachsender Rohstoff - Untersuchungen zur Maximierung der Produktivität von Sphagnum papillosum im Regendurchströmungsmoor Ispani 2 (Georgien) (Peat mosses (Sphagnum) as a renewable resource - Investigations on maximising productivity of Sphagnum papillosum in the percolation bog Ispani 2 (Georgia)). Telma 35: 171–189 (in German). Haberl A et al. (2006). The Imnati mire in the Kolkheti lowland in Georgia. Peatlands International 2006/1: 35-38. Haberl A (2006). Ecology and hydro-genesis of the Imnati mire (Kolkheti, Georgia): a contribution to the characterization of percolation bogs. Report prepared for the Integrated Coastal Zone Management Centre, Tbilisi. Institute of Botany and Landscape Ecology, Greifswald, 25 + VII p.
Publications Raison J et al. (2015). Part 3: Gabon Case Study. The HCS+ methodology tested on the ground. The High Carbon Stock Science Study, pp. 75-104. Link. Publications Grootjans AP et al. (2015). In search of spring mires in Namibia: the Waterberg area revisited. Mires and Peat 15(10): 1–11. Link. Publikations Hildebrandt C (2008). Ridge raised bogs in central Norway – an ecological profile. Diploma thesis, Greifswald, Ernst-Moritz-Arndt-Universität Greifswald. Publikations Dommain R(2004). 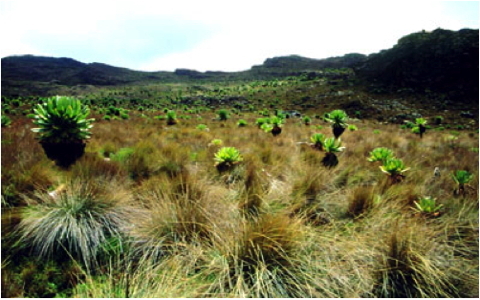 Peatlands on the Ugandan side of Mount Elgon. 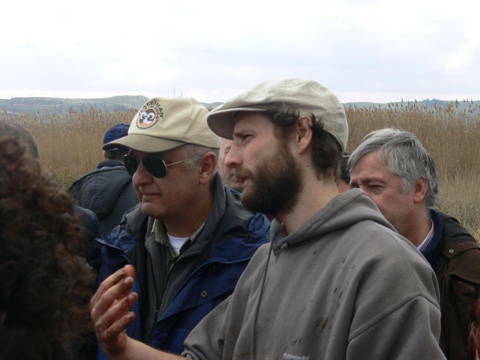 International Mire Conservation Group Newsletter 2004/3: 9–12. Link. Publikations Fritz C (2007). Spatiotemporal variability of reversible surface elevation changes in peatlands: Opuatia wetland, North Island, NZ. Diploma Thesis, Greifswald, Ernst-Moritz-Arndt-University Greifswald. Ramezani E et al. (2016). Between the mountains and the sea: Late Holocene Caspian Sea level fluctuations and vegetation history of the lowland forests of northern Iran. Quaternary International. DOI: 10.1016/j.quaint.2015.12.041. Khakpour Saeej M et al. (2013). Palynological reconstruction of 1500 years of vegetation history of Veisar (N Iran). Rostaniha 14: 135-148. (in Persian with English abstract). Ramezani E et al. (2013). Pollen–vegetation relationships in the central Caspian (Hyrcanian) forests of northern Iran. Review of Palaeobotany and Palynology 189: 38-49. DOI: 10.1016/j.revpalbo.2012.10.004. Akhani H et al. (2010). Plant biodiversity of Hyrcanian relict forests, N Iran: An overview of the flora, vegetation, palaeoecology and conservation. Pakistan Journal of Botany 42: 231-258. Ramezani E et al. (2008). The late-Holocene vegetation history of the Central Caspian (Hyrcanian) forests, Northern Iran. The Holocene 18: 305–319. DOI: 10.1177/0959683607086768. Publications Tanneberger F et al. (2003). Wohin auch das Auge blicket: Moore, Moorforschung und Moorschutz in Westsibirien. Telma 33: 209–229. Publications Abdusalih N et al. (2008). Peatlands of the Chinese Altay. Peatlands International 2008/2:24-27. Link. Gao Y, Schumann M, Zeng X & Chen H (2011). Changes of plant communities and soil properties due to degradation of alpine wetlands on the Qinghai-Tibetan Plateau. Journal of Environmental Protection and Ecology 12: 788-798. Gao Y, Zeng X, Schumann M & Chen H (2011). Effectiveness of exclosures on restoration of degraded alpine meadow in the Eastern Tibetan Plateau. Arid Land Research and Management 25: 164-175. DOI: 10.1080/15324982.2011.554954. Schumann M & Joosten H (2008). Peatland restoration assessment Rouergai Plateau. EU-China Biodiversity Programme, Wetlands International China Programme, Beijing, 49 p.
Joosten H, Haberl A & Schumann M (2008). 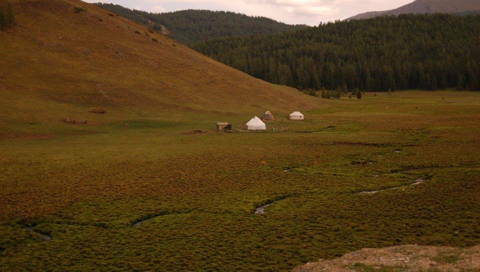 Degradation and restoration of peatlands on the Tibetan Plateau. Peatlands International 2008/1: 31-35. Joosten H & Schumann M (2007). Hydrogenetic aspects of peatland restoration in Tibet and Kalimantan. Global Environmental Research 11: 195-204. Schumann M & Joosten H (2007). Development, degradation and restoration of peatlands on the Ruoergai Plateau: A first analysis. Wetlands International China Programme, Beijing, 52 p.
Schipper AM et al. (2007). Vegetation characteristics and eco-hydrological processes in a pristine mire in the Ob River valley (Western Siberia). Plant Ecology 193: 131-145. DOI: 10.1007/s11258-006-9253-x. Tanneberger F, Hahne W, & Joosten H (2003). Wohin auch das Auge blicket: Moore, Moorforschung und Moorschutz in Westsibirien. Telma 33: 209 – 229. Tanneberger, F. and Hahne W. (2003). 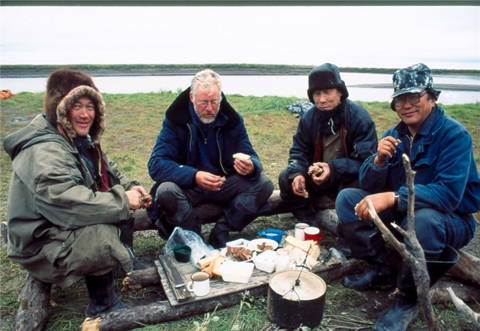 Landscape Ecology and Palaeoecology of Ob Valley Mires near Tomsk / Western Siberia. Diploma Thesis, Greifswald, Ernst-Moritz-Arndt-Universität Greifswald. Stebich M et al. (2011). Comments on "Anti-phase oscillation of Asian monsoons during the Younger Dryas period: Evidence from peat cellulose δ13C of Hani, Northeast China" by B. Hong, Y.T. Hong, Q.H. Lin, Yasuyuki Shibata, Masao Uchida, Y.X. Zhu, X.T. Leng, Y. Wang and C.C. Cai [Palaeogeography, Palaeoclimatology, Palaeoecology 297 (2010) 214-222]. Palaeogeography, Palaeoclimatology, Palaeoecology, 310:464-470. DOI: 10.1016/j.palaeo.2011.06.004. Thiele A (2008). Vegetationsgeschichte eines Talmoores in Nordost-China. Telma, 38:79–100. Schröder C et al. (2007). Hani-Mire – A percolation mire in Northeast China. Peatlands International, 2007/2:21-24. Thiele A & Schröder C (2007). Das Hani-Moor im Nordosten Chinas (Jilin) - Moorökologische und landschaftsökologische Untersuchungen eines Talmoores (German with Engl. Summary). Diploma thesis, Greifswald, Ernst-Moritz-Arndt-Universität Greifswald. Nguyen TD (2006). Palaeoecology of the Red River Delta in the Holocene : a palynological approach. Greifswald, Univ., Dissertation. Teltewskoi A et al. (2016). 4000 years of changing wetness in a permafrost polygon peatland (Kytalyk, NE Siberia): A comparative high-resolution multi-proxy study. Permafrost and Periglacial Processes 27: 76–95. DOI: 10.1002/ppp.1869. Gao Y & Couwenberg J (2015). Carbon accumulation in a permafrost polygon peatland: steady long-term rates in spite of shifts between dry and wet conditions. Global Change Biology, 21:803–815, DOI: 10.1111/gcb.12742. de Klerk P et al. (2014). Vegetation patterns, pollen deposition and distribution of non-pollen palynomorphs in an ice-wedge polygon near Kytalyk (NE Siberia), with some remarks on Arctic pollen morphology. Polar Biology, 37:1393–1412, DOI: 10.1007/s00300-014-1529-3. de Klerk P et al. (2011). Short-term dynamics of a low-centred ice-wedge polygon near Chokurdakh (NE Yakutia, NE Siberia) and climate change during the last ca. 1250 years. Quaternary Science Reviews, 30:3013-3031, DOI :10.1016/j.quascirev.2011.06.016. Minke M et al (2009). Patterns in vegetation composition, surface height and thaw depth in polygon mires in the Yakutian Arctic (NE Siberia): A microtopographical characterisation of the active layer. Permafrost and Periglacial Processes, 20:357–368, DOI: 10.1002/ppp.663. Minke M et al. (2008). Spatial and temporal variation in carbon accumulation in a Northeast Siberian arctic polygon mire over the last millennium. Geophysical Research Abstracts Vol. 10, EGU2008-A-07425. Minke M et al. (2007). Distribution, diversity, development and dynamics of polygon mires: examples from Northeast Yakutia (Siberia). Peatlands International 2007/1:36-40. Publikationen Dommain R (2007). Ecology and palaeoecology of Alborn Fen (Minnesota) with special attention to pattern formation. Diploma Thesis, Greifswald, Ernst-Moritz-Arndt-Universität Greifswald. Publications Margalef O et al. (2013). A 70,000 year multiproxy record of climatic and environmental change from Rano Aroi peatland (Easter Island). Global and Planetary Change, 108:72-84, DOI: 10.1016/j.gloplacha.2013.05.016. Passuni EO and Maldonado Fonkén MS (2014/2015). 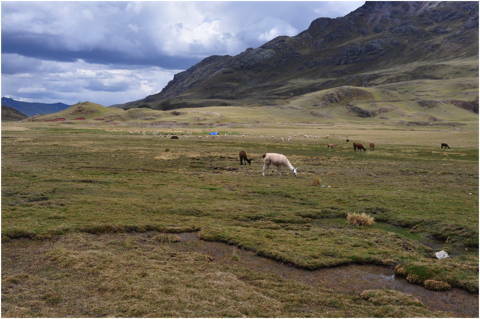 Relationships between aquatic invertebrates, water quality and vegetation in an Andean peatland system. Mires and Peat 15: Art. 14. Link. Maldonado Fonkén, M.S. (2014): An introduction to the bofedales of the Peruvian High Andes. Mires and Peat 15: Art. 5. Link. Grootjans A et al. (2014). 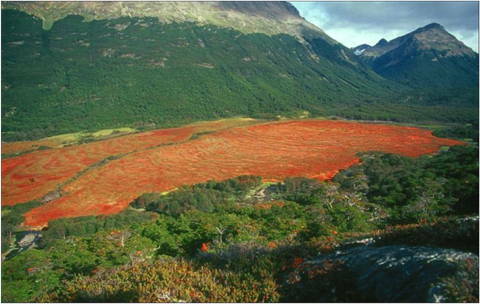 Mires and mire types of Peninsula Mitre, Tierra del Fuego, Argentina. Mires and Peat 14: Art. 1. Link. Grootjans A et al. (2010). Ecohydrological features of some contrasting mires in Tierra del Fuego, Argentina. Mires and Peat 6: Art. 1. Link. Project Revitalisation of the Nature Conservation Area (NSG) "Hangquellmoor Binsenberg"
Publications Brochure "Peatlands ecosystems in Kyrgyztan" (German/Russian only), Link. Publications Tanneberger F et al. (2011). 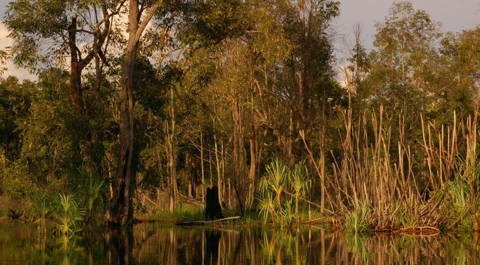 Carbon credits from peatland rewetting Climate – biodiversity – land use. Schweizerbart Science Publishers, Stuttgart. Publications Schwill S et al. (2010). Greenhouse gas emissions of peatlands; Methodology for the assessment of climate relevance – case study Zehlau peatland. Michael Succow Foundation, Greifswald. Publications Abel S et al. (2011). A Decision Support System for degraded abandonded peatlands illustrated by reference to peatlands in the Russian Federation. Michael Succow Foundation, Greifswald. Publications Zerbe S et al. (2013). 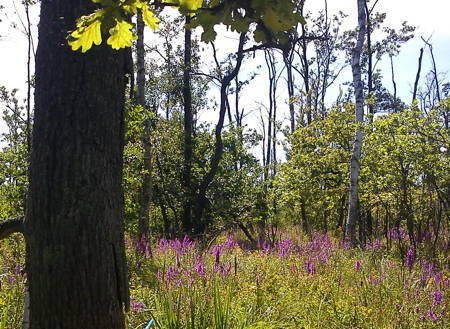 Restoration of ecosystem services after 10 years of rewetting peatlands in NE Germany. Environmental Management, 51:1194–1209, DOI: 10.1007/s00267-013-0048-2. Steffenhagen P et al. (2012). Biomass and nutrient stock of submersed and floating macrophytes in shallow lakes formed by rewetting of degraded fens. Hydrobiologia, 692(1):99-109, DOI: 10.1007/s10750-011-0833-y. Schulz K et al. (2011). The effect of flooding on carbon and nutrient standing stocks of helophyte biomass in rewetted fens. Hydrobiologia, 674(1):25-40, DOI: 10.1007/s10750-011-0782-5. Gazovic M et al. (2013). 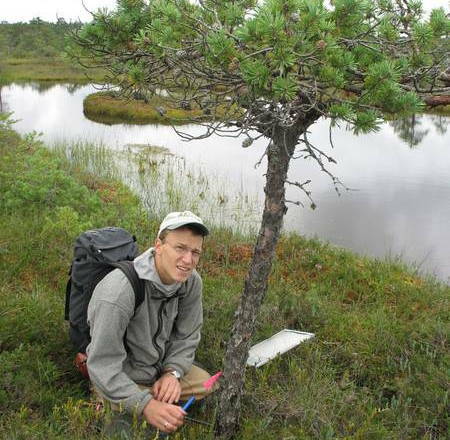 Hydrology driven ecosystem respiration determines the carbon balance of a boreal peatland. Science of the Total Environment, 463-464:675–682, DOI: 10.1016/j.scitotenv.2013.06.077. Dorodnikov M et al. (2011). Plant-mediated CH4 transport and contribution of photosynthates to methanogenesis at a boreal mire: a 14C pulse-labeling study. Biogeosciences, 8(8):2365-2375, DOI: 10.5194/bg-8-2365-2011. Forbrich I et al. (2011). Cross-evaluation of measurements of peatland methane emissions on microform and ecosystem scales using high-resolution landcover classification and source weight modelling. 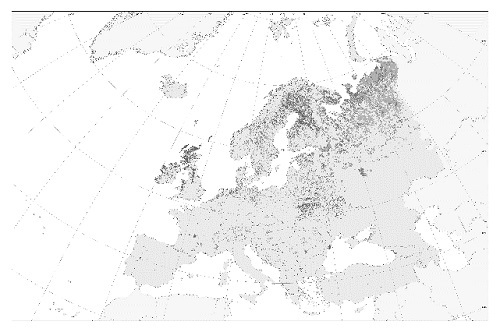 Agricultural and Forest Meteorology, 151(7):864–874, DOI: 10.1016/j.agrformet.2011.02.006. Forbrich I et al. (2010). A comparison of linear and exponential regression for estimating diffusive CH4 fluxes by closed-chamber in peatlands. Soil Biology and Biochemistry, 42(3):507-515, DOI: 10.1016/j.soilbio.2009.12.004. Wu J et al. (2010). Evapotranspiration dynamics in a boreal peatland and its impact on the water and energy balance. Journal of Geophysical Research, 115, G04038, DOI: 10.1029/2009JG001075. Jager DF et al. (2009). The influence of summer seasonal extremes on dissolved organic carbon export from a boreal peatland catchment: Evidence from one dry and one wet growing season. Science of the Total Environment, 407(4):1373-1382, DOI: 10.1016/j.scitotenv.2008.10.005. Schneider J et al. (2009). Overestimation of CO2 respiration fluxes by the closed chamber method in low-turbulence nighttime conditions. Journal of Geophysical Research, 114, G03005, DOI: 10.1029/2008JG000909. Becker T et al. (2008). Do we miss the hot spots? – The use of very high resolution aerial photographs to quantify carbon fluxes in peatlands. Biogeosciences, 5:1387-1393, DOI: 10.5194/bg-5-1387-2008. Publications Scharnweber T (2015). New insights for the interpretation of ancient bog oak chronologies? Reactions of oak (Quercus robur L.) to a sudden peatland rewetting. Palaeogeography, Palaeoclimatology, Palaeoecology, 417:534–543, DOI: 10.1016/j.palaeo.2014.10.017. Runkle BRK (2014). The surface energy balance and its drivers in a boreal peatland fen of northwestern Russia. Journal of Hydrology, 511:359-373, DOI: 10.1016/j.jhydrol.2014.01.056. Schneider J et al. (2012). 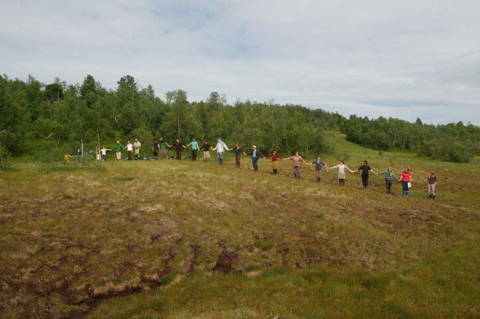 Carbon dioxide exchange fluxes of a boreal peatland over a complete growing season, Komi Republic, NW Russia. Biogeochemistry, 111:485-513, DOI: 10.1007/s10533-011-9684-x. Gazovic M et al. (2010). Diurnal dynamics of CH4 from a boreal peatland during snowmelt. Tellus B, 62(3):133–139, DOI: 10.1111/j.1600-0889.2010.00455.x. Publications Smiljanic M et al. (2014). Peatland pines as a proxy for water table fluctuations: Disentangling tree growth, hydrology and possible human influence. Science of the Total Environment, 500-501:52–63, DOI: 10.1016/j.scitotenv.2014.08.056.